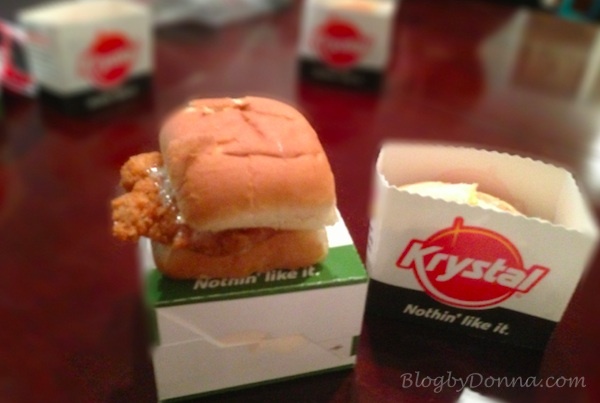 This delicious, steamy buns, square goodness post has been brought to you by Krystal…. 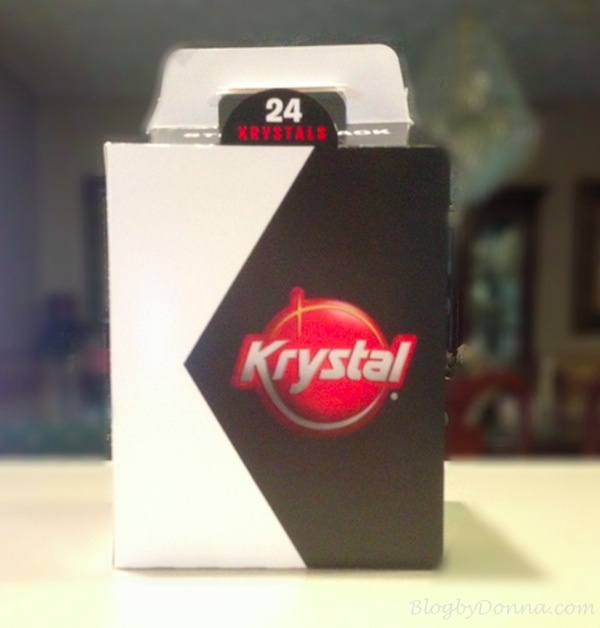 When we moved to Tennessee sixteen years ago, one of the fast food restaurants I couldn’t wait to try was Krystal. I’d heard about Krystal, but there weren’t any in Kentucky. And trying a Krystal original burger the first time was such a treat. As have every time since. Although it has been too long since I’ve eaten one of their signature square steamers. Recently, I had the opportunity to eat at my local Krystal. First off, before I talk about what I got, and what I thought about it, I want to say, “Thank you, Denise!” Denise was the manager on duty when I picked up dinner the other day. She and the other sweet lady (who I did not get her name) who waited on me were so nice to me. I felt like I was talking to girlfriends. They were so personable and made me feel like I was someone special. If you stop by the Krystal on Emory Rd. off I-75 in Knoxville, TN, you will receive great service! I got a sack (12) of original Krystal steamers, 4 Krystal Chiks, 3 fries, a large Chicken Bites, and a chocolate MilkQuake. You cannot beat Krystal’s original hamburgers. The square burger on a fresh steamy bun with mustard, onions, and crispy pickles, may be little in size but it’s huge in flavor. The little square burger is a huge hit with my son, too. I think kids love the size of a Krystal burger. I know I like the size because I can enjoy the wonderful taste of a Krystal, but keep the calories in check. We enjoy the Krystal Chik, a lot, but I wish I had got the Spicy Chiks… maybe next time. 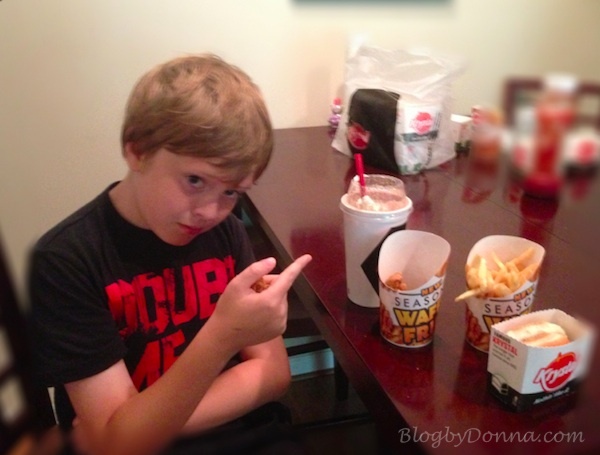 This was the first time we got the Chicken Bites, which are like chicken nuggets, and my son said they were the best tasting nuggets/bites, he’d ever eaten. Anywhere. Now that’s high praise indeed. The MilkQuake was for my son, and he said it was one of the best he’s ever drunk. My husband said I should have gotten us a couple of Freezes. I guess they’re for another trip, too. I know there’s a grape Freeze callin’ my name. My husband said he wanted to try the new Nutter Butter MilkQuake that will be available on June 24th. So from the great service, to the fresh, hot, delicious food, Krystal conquers your craving. I have some great news for one lucky Blog by Donna reader — Krystal is giving away $50 in Krystal gift cards to one (1) lucky winner, so YOU can conquer your Krystal craving! Awesome, I know! Open to U.S. 18+ only. Ends June 30, 2013. The only mandatory entry is to leave a comment, all other entries are optional (but will increase your chances of winning).Enter on the Rafflecopter form below. Good luck. Be sure to like Krystal on Facebook for Krystal news/updates. Disclosure: I received a gift card(s) and promotional item(s) for this post but all opinions are 100% my own and may differ from yours. I will only endorse companies, products and services that I believe, based on my own experiences, are worthy of endorsement. 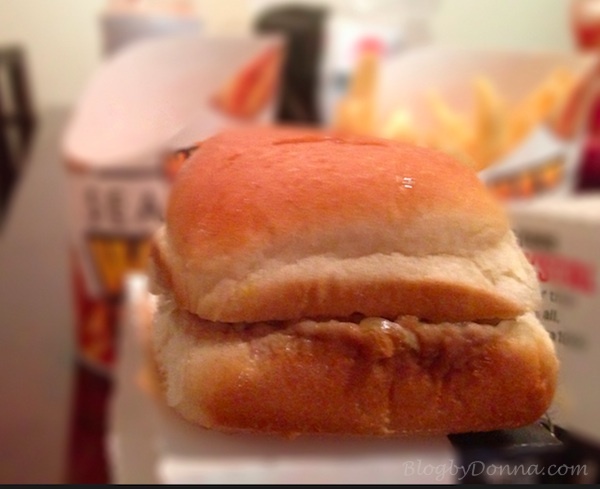 I love the double cheeseburgers because they remind me of White Castle & home sweet home…Michigan. I like the original Krystals. I’ve never eaten at Krystal! These sound SO good! I wish I had one in my area! I’ve never eaten there, but we do travel a lot. We plan on giving them a try! I like the original Krystals! I always get the cheese Krystals off the grill..no mustard or pickle. Love, love, love my Krystals!